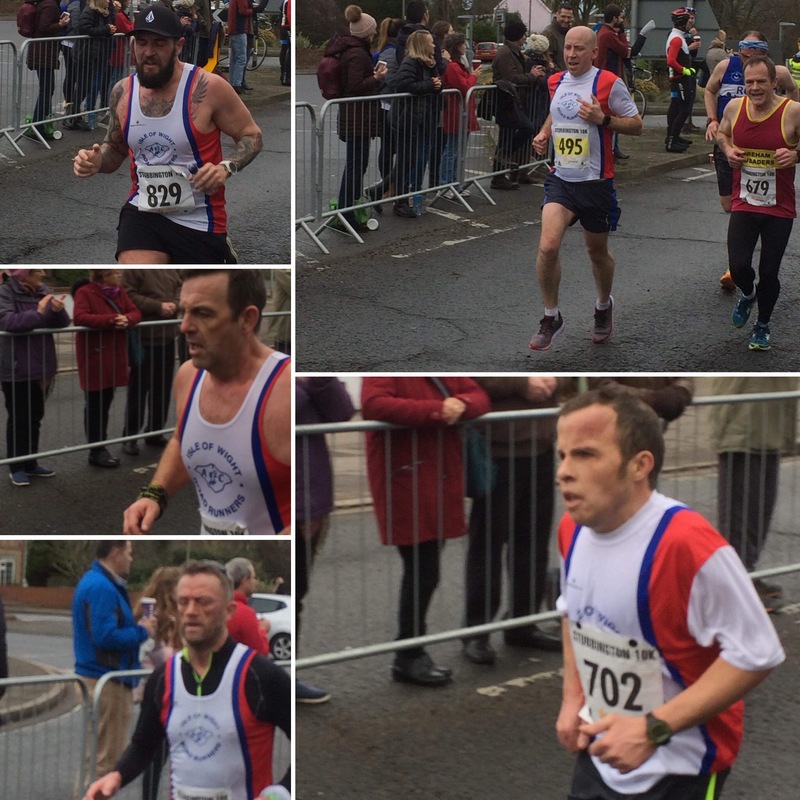 An early start greeted a large team of roadrunners as racing calendar for 2019 kicked off on Sunday. 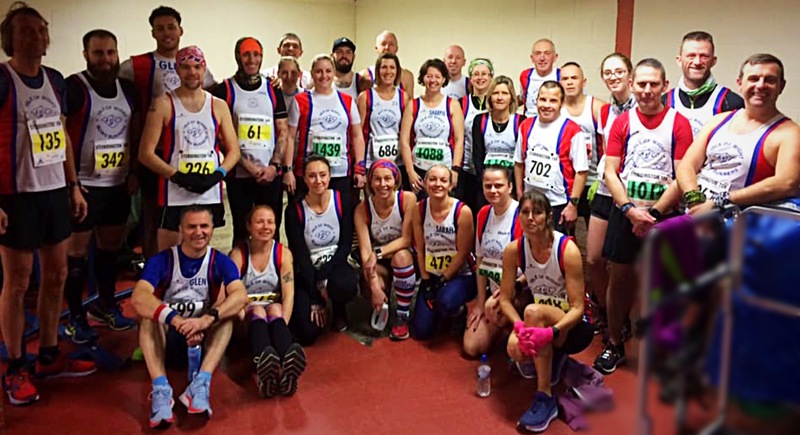 A short journey faced the bleary eyed runners as they made their way to the south coast village of Stubbington, just outside of Fareham. 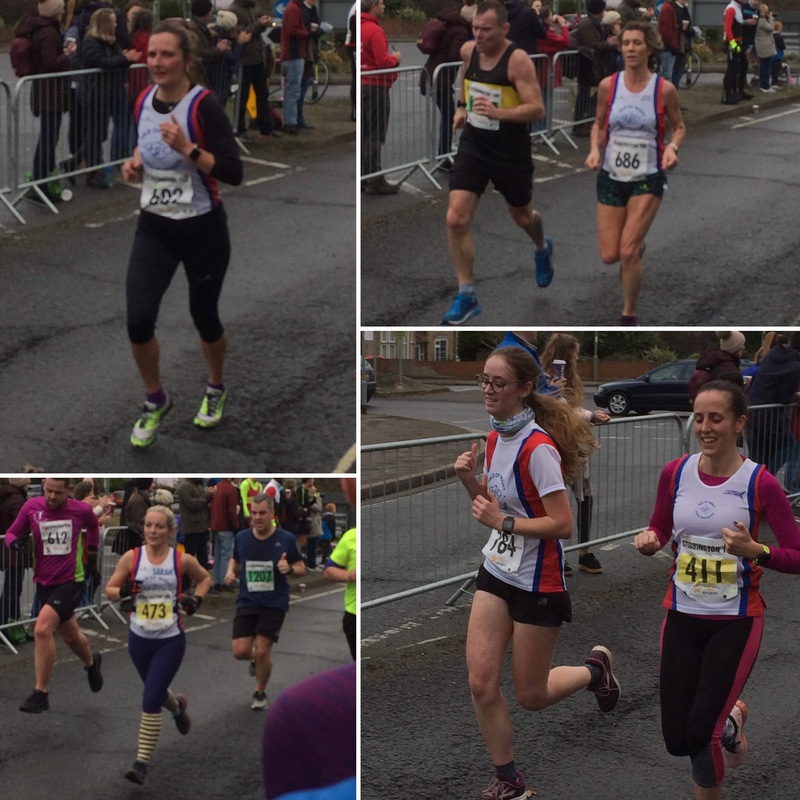 A fast and flat course coupled with the favourable conditions promised some good performances from the team as they lined up on the startline for the 10am start. 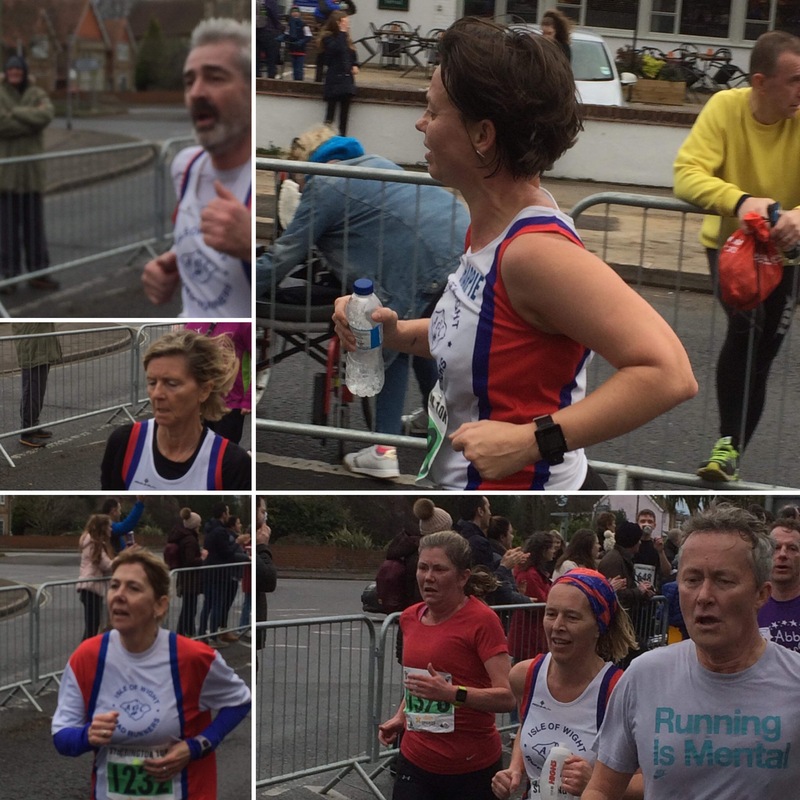 Beginning in the heart of the village, the looped course took in quiet country lanes through the local copses before emerging onto a stretch of the coastline of Portsmouth Harbour before returning back to the centre of the village for the finish. 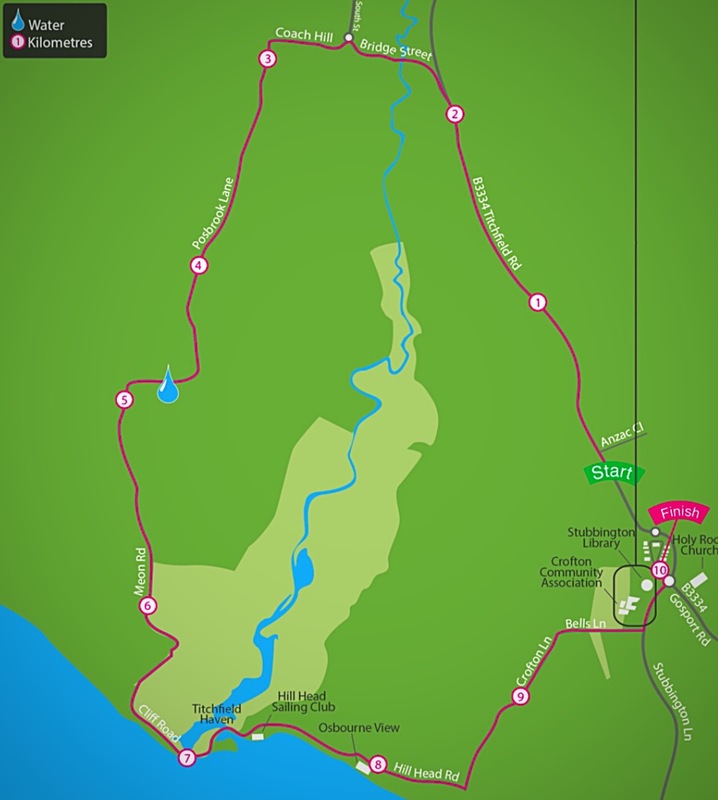 Simon Pilcher was the first Roadrunner to return to the village and under the blue arch of the finish, dipping under 37 minutes for the first time, giving himself a shiny new PB. Darren Cole was home and dry 30 seconds later, also shaving a few seconds off his PB and dipping under 37 minutes. 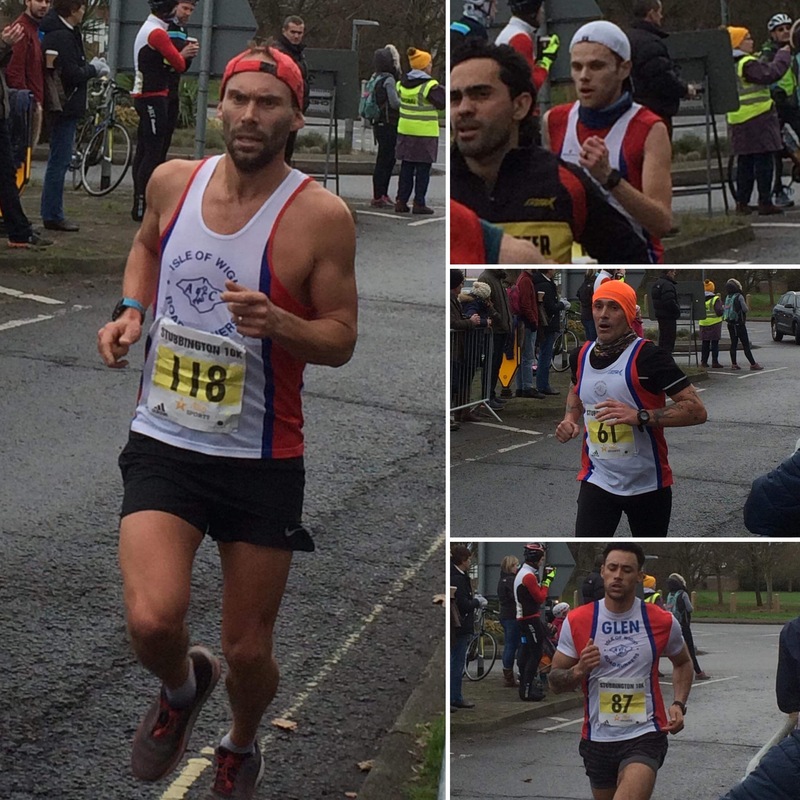 Ross Wilkes continued his fantastic form to finish next, with Stuart Backhouse just pipping Richard Nembhard on chip time to complete the first men’s team. For the ladies Trish Train put in a stellar performance despite suffering from a bad chest and a sore foot, to take the 3rd V50 spot. Jodie Wilmott was next home, shaking off her niggly knee to take 11th Senior Female. 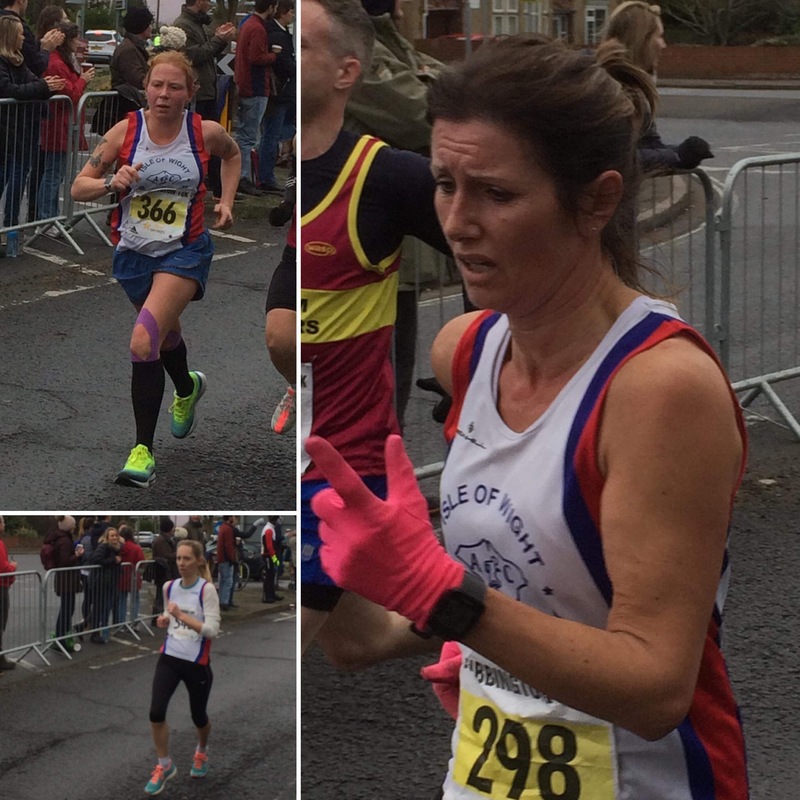 Polly Segar took 18th in her first race for quite some time, completing the First Ladies team. 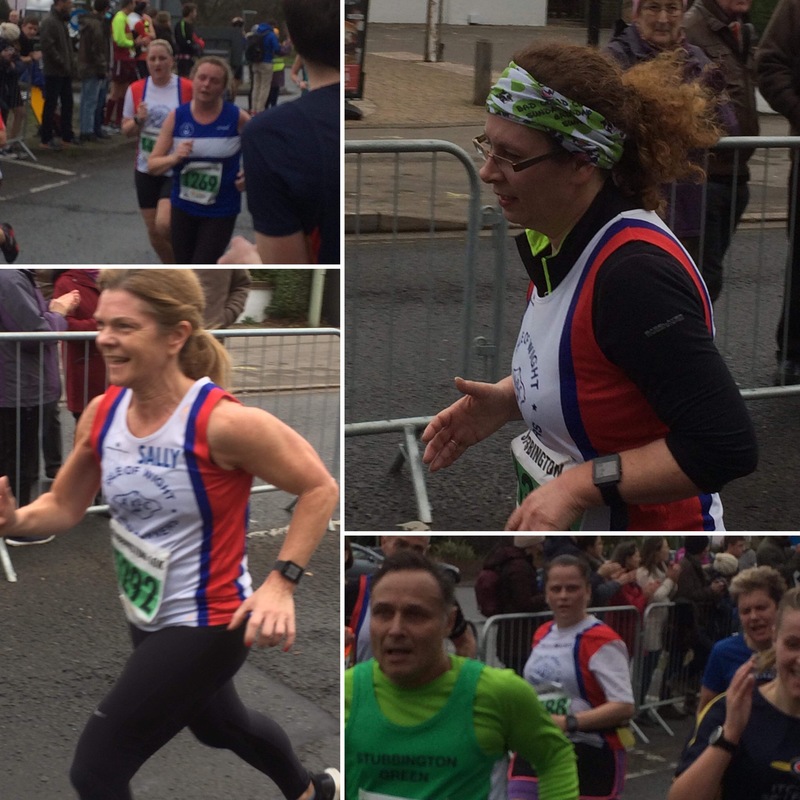 The rest of the gang came in thick and fast, taking advantage of the favourable conditions. 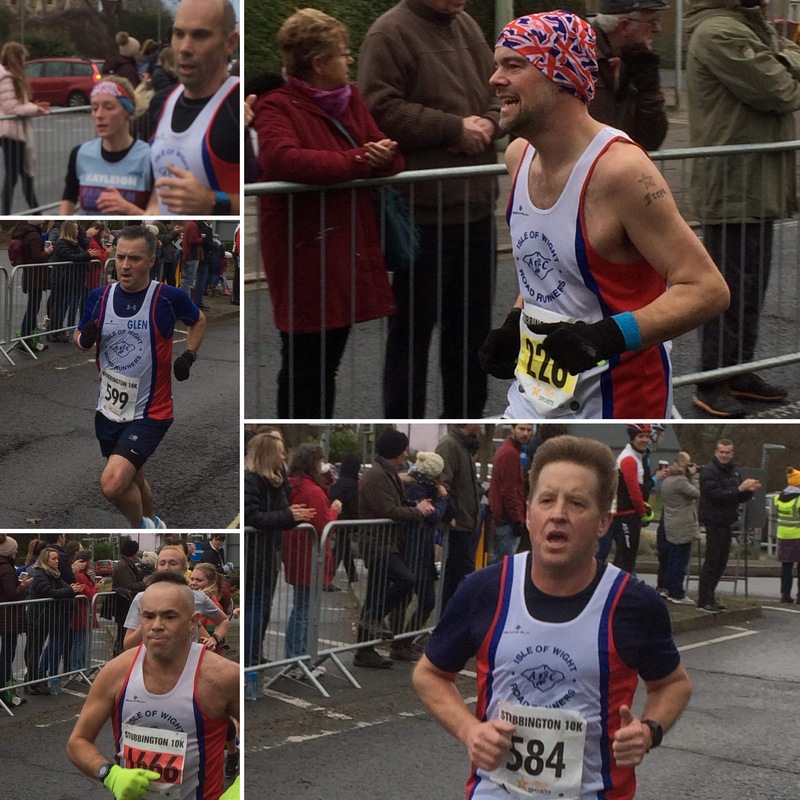 Enjoying the crowd of cheering locals, family and fellow club members. A welcoming finish to top off a brilliantly organised race. 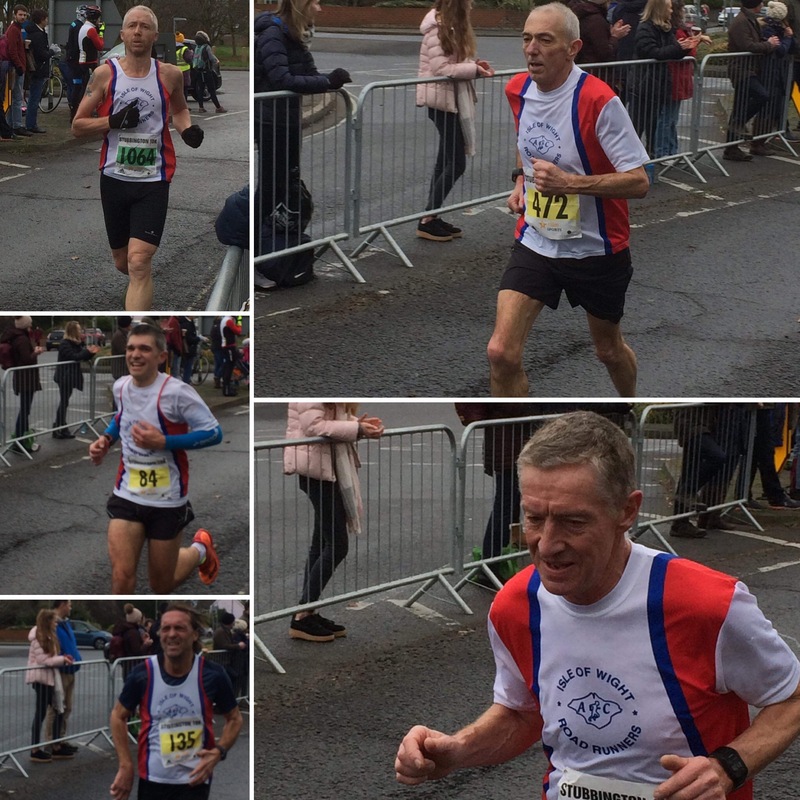 Congratulations to Andy MacArthur, Pete Sexton and Steve Bennett who all attained 8th positions in their age categories and Abigail Keyte who took 4th Junior. 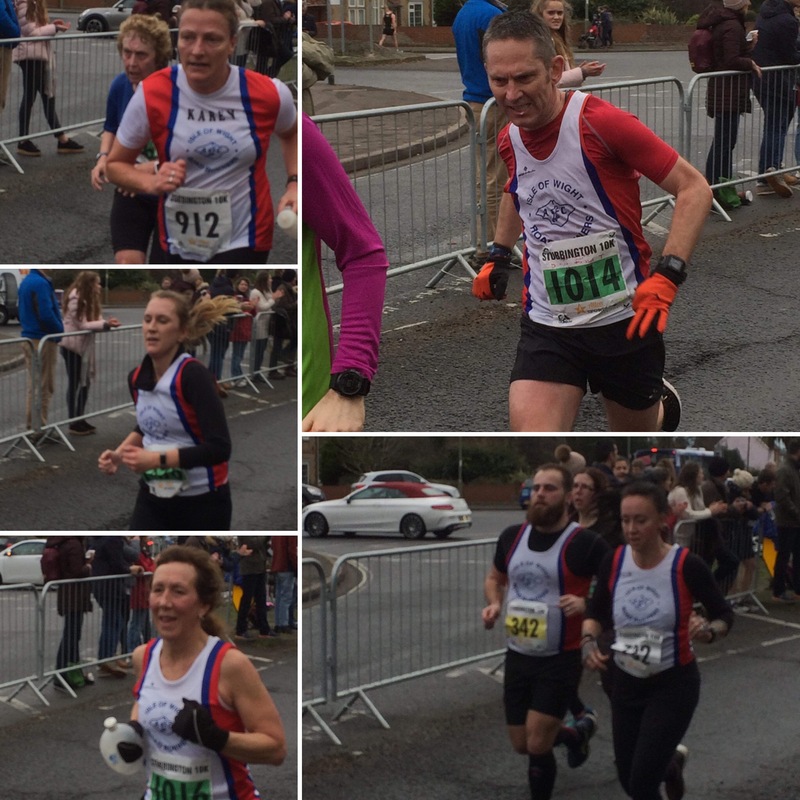 Also particular mention to Richard Nembhard and Callie Wareham for completing their club debuts and James Shoulder, Giorgio Marinelli, David Blake, Sally Trotman, Peter Dixon, Zoe Sherwin and Gemma Fletcher for getting themselves a lovely new PB each. 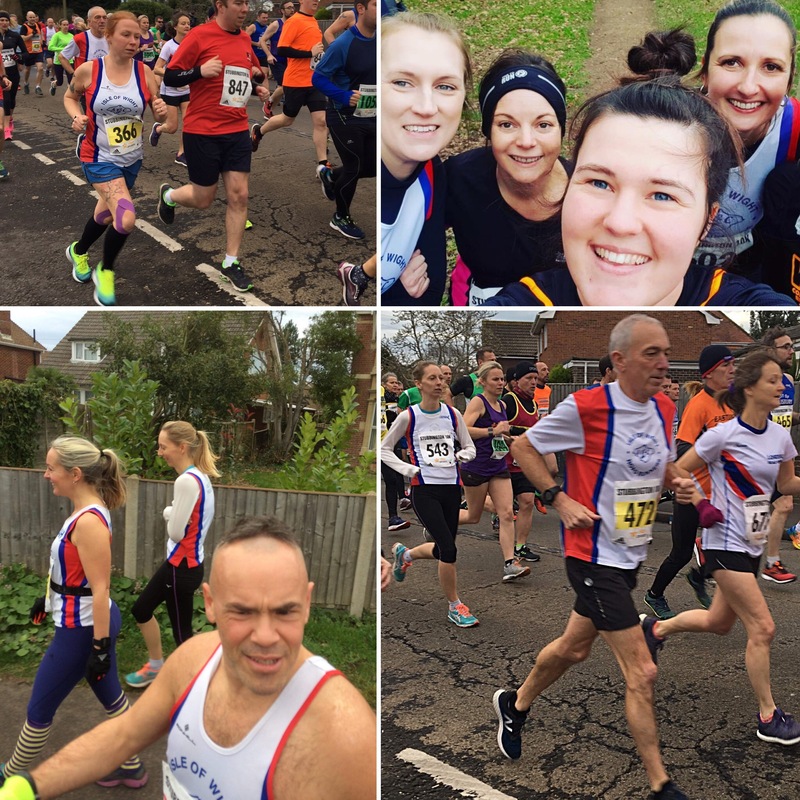 A fabulous start to the Roadrunners 2019 year of running.